What a gorgeous deep sky astrophoto! 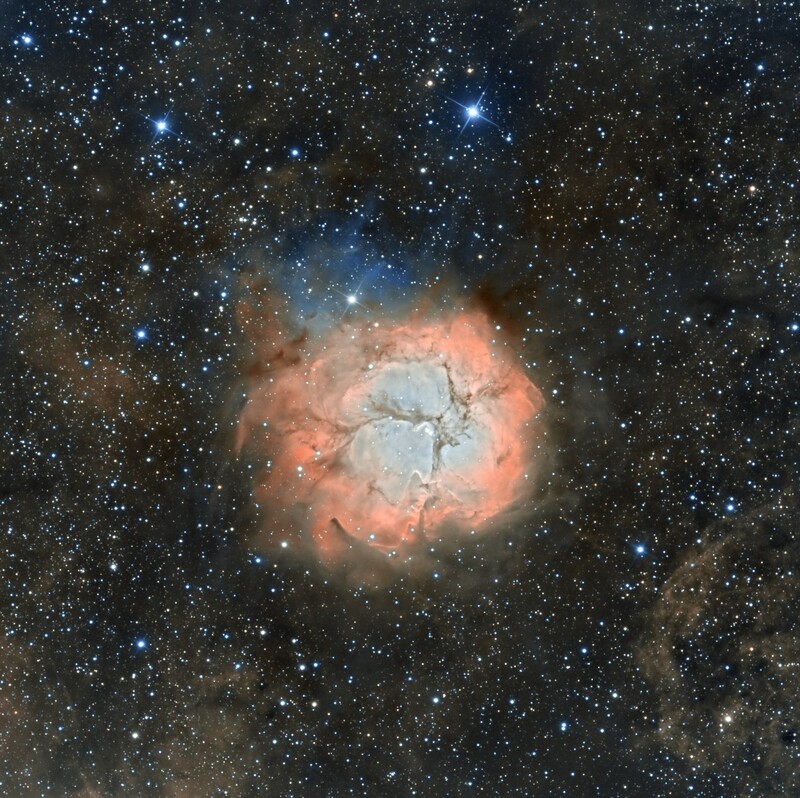 M20, also known as the Trifid Nebula is located in Sagittarius, and its name means ‘divided into three lobes.’ The ‘lobes’ are clearly visible in this very pretty palette of colors by astrophotographer Ian Sharp. This was taken remotely from Siding Spring Observatory in Australia over the past few weeks, with 38 hours of exposure. Here’s the link to the photo on Ian’s website.